I thank the Malaysian Government for issuing a statement to clarify the appointment of YAA Tan Sri Dato’ Seri Md Raus Sharif (“Tan Sri Raus”) and YAA Tan Sri Dato’ Seri Zulkefli Ahmad Makinudin (“Tan Sri Zulkefli”) as additional judges of the Federal Court after they have attained the age of 66 years and 6 months. Tan Sri Raus was appointed for 3 years, during which period he will continue to hold the position of the Chief Justice. Tan Sri Zulkefli was appointed for 2 years, during which period he will continue to hold the position of the President of the Court of Appeal. The statement confirms that they are only appointed as additional judges of the Federal Court pursuant to Article 122(1A) of the Federal Constitution. It means that they are not reappointed as the Chief Justice and the President of the Court of Appeal, respectively. 2. their appointments as the Chief Justice and the President of the Court of Appeal, respectively, have expired when they reach the age of 66 years and 6 months (including extensions pursuant to Article 125(1)). I accept that they are appointed as additional judges on the advice of the former Chief Justice. However, who would believe that there was no prior understanding between the previous Chief Justice and the Prime Minister (with the agreement of Tan Sri Raus and Tan Sri Zulkefli) that the purpose of the former Chief Justice advising the Yang di-Pertuan Agong was to appoint both of them as additional judges so as to enable them to continue to be the Chief Justice and the President of the Court of Appeal, respectively. Otherwise, would Tan Sri Raus and Tan Sri Zulkefli agree to continue serving in a lower position than before their retirement? I emphasise that that is not the purpose of Article 122(1A). The purpose of Article 122(1A) is only for the appointment of additional judges of the Federal Court and that’s it. All the points that I had raised in my article dated 6 May 2017 are still valid. In my view, the appointment of Tan Sri Raus and Tan Sri Zulkefli as additional judges of the Federal Court and for them to continue to hold their respective positions are not the right thing to do. It looks as if the Malaysian Government, particularly in the present political situation in Malaysia, wants them to continue to hold their respective positions. It is very difficult for the Malaysian Government to allay the public perception that the Malaysian Government is preparing to have a pro-government court in case there are matters against it during that period. It does not help the Malaysian Government to show the public that it is transparent. Instead, it reflects too much political meddling in the Judiciary, somewhat similar to the Mahathir era which remains as a black spot in the history of Malaysia in general and the Malaysian Judiciary in particular. As for the judges concerned, they appear to have compromised their independence in order to continue to hold their respective positions. The fact that it happened at the end of their career that was previously seen unblemished is very unfortunate. As for the Judiciary, after its image has improved over the past decade, it appears to have been tarnished again by this event. In what appears to be an attempt to further legitimise their continued holding of their respective positions, the statement stated that the Malaysian Government was contemplating tabling a proposal in Parliament to raise the retirement age of the judges of the Apex Court to 70 years. 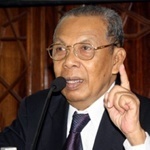 If the Malaysian Government manages to get a two-thirds majority in each Houses of Parliament, the amendment may be able to solve the issue provided the amendment is made to take effect after the retirement of Tun Arifin Zakaria but before Tan Sri Raus and Tan Sri Zulkefli reaches the age of 66 years and 6 months. However, even with the amendment, so long as Article 122(1A) is read as enabling the additional judge to continue to hold his position prior to his retirement, the same may be repeated: a Chief Justice may be appointed as an additional judge after he attains the age of 70 years and 6 months and to continue to hold his position for the same period. The Malaysia Government may choose whose service it wants to continue and whose service it does not. In fact, Tan Sri Raus is appointed as additional judge for 3 years while Tan Sri Zulkefli was only appointed for only 2 years. What is the criterion for such appointments? The proposed increase of the retirement age should be carefully weighed in the Malaysian context. Just because the increase of the retirement age of judges works other countries does not mean it can work here or we should follow them. In my view, it is unwise for the Malaysian Government to do what it has done and the way it is done, in this case. It is not good for image of the Malaysian Government, it is not good for the image of the Judiciary and it is certainly not good for the integrity of the judges concerned. It causes uncertainty to all other judges. It should not be done and should not be repeated.